Vitesse PSP Ltd. are a non-banking, international payments specialist company. Our uniqueness is based on a global network of local banking partners that enables us to send international payments via a local banking network. This means we are cheaper, quicker and more transparent than the banks. 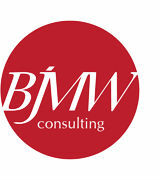 BJMW Consulting LLP is a reputable and rapidly growing Staffing, Training & Auditing Solutions Services Company being established over 10 years. We specialise in working within the Freight Forwarding, Courier, Logistics & Shipping Industries. Our client base is continually expanding and we enjoy successful partnerships with other recruitment agencies and training associations which when joined together give us over 40 years of industry experience. When affording BJMW Consulting LLP the opportunity to take care of all your Staffing, Training & Auditing needs, you can rest assured that you are placing your needs in the hands of a professional team who will endeavour to provide you with an exceptional service at all times.